BUILDING OUR PORT FOR THE FUTURE. Our region is experiencing unprecedented change and growth, and the Port of Halifax is excited to be part of this powerful momentum. Our vision for the future includes expanding our cargo and cruise infrastructure, and reducing the number of trucks on the streets of downtown Halifax. Together, let’s build a modern port for our city, region, and country. As Canada’s only east coast gateway for ultra-class vessels, it’s important that we get this right and move quickly to keep pace with the global industry. For the last two years, we’ve been the fastest growing port in North America. Let’s keep it going. WELCOMING THE BIGGEST SHIPS. By expanding our infrastructure, we can ensure Halifax continues to be a vital link in the Canadian supply chain, facilitating global economic ties and providing access to international markets for importers and exporters. CONTRIBUTING TO A VIBRANT, LIVABLE CITY. We know that truck traffic is a concern for those who live, work, and play in downtown Halifax. While we work to finalize our larger infrastructure plan, we are working to find solutions that are aligned with our city’s growth and Centre Plan. EXPANDING CRUISE OPERATIONS. Cruise is a big part of our business and we are exploring ways to welcome more visitors to the region. We have identified a number of options on both sides of the harbour that we believe will bring tremendous opportunity to the Port and community. CAPITALIZING ON OPPORTUNITY. In 2016, the Port generated over 12,000 jobs, contributing $2.33 billion to Nova Scotia’s GDP annually, or 7.05% of all economic activity. In 2016 we kicked off a planning process to look at all the options available to take our Port to the next level. We gathered input from the Port community, city stakeholders, local residents, and our customers. And we worked with international port planning experts to weigh the pros and cons of the many options that were considered. 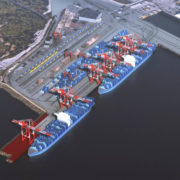 The Port of Halifax is moving forward with a temporary $35 million extension of the South End Container Terminal to simultaneously berth two ultra-class vessels by 2020. 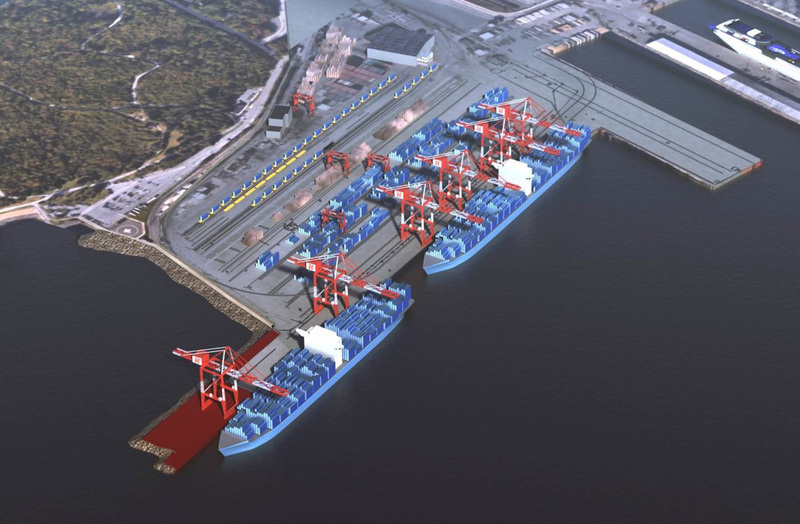 This extension will provide the critical schedule reliability that carriers require and allow the Port to preserve cargo-related jobs and ensure Canadian cargo does not flow through U.S. ports. We’re a port city, and a lot of people in the city, province, and region rely on and benefit from the operations of the Port of Halifax. This temporary pier extension at South End Container Terminal will buy us time and space to continue with our more detailed, long-term planning for the future.